Sprinkler System inspections help to ensure your system will work when you need it mostThe NFPA, local fire departments and insurance companies require periodic inspection of all fire protection systems, including sprinkler systems in order to ensure that they will operate effectively when needed. Reliable Fire & Security provides sprinkler system inspections. We also provide inspections for fire pumps and back flow devices for our commercial and industrial customers. Our NICET certified technicians are able to inspect and test a variety of systems providing you with the verification required by these interest groups. A centralized dispatching team will provide you with prompt service to place a technician at your facility as soon as possible. 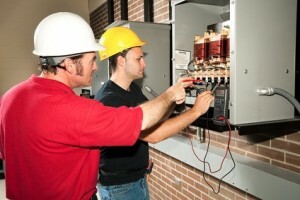 Inspection and testing services are performed in accordance with the requirements of NFPA standards #25 and #72.